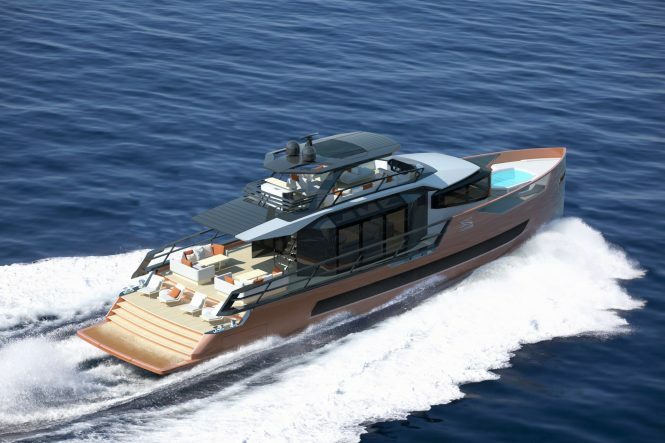 At the Monaco Yacht Show, Turkish shipyard Sarp Yachts announced their collaboration with Van Oossanen and Red Yacht Design to create a new range of hybrid propulsion superyachts: the XSR series. Utilising the innovative Fast Displacement Hull Form (FDHF) from Van Oossanen Naval Architects, the XSR range consists of the 85, 105 and the 125 and construction will begin at the shipyard in Antalya based on interest. Red Yacht Design created both the interiors and exteriors to create a cohesive, flowing appearance across the decks. Panoramic windows are used throughout the salons and cabins for greater connection to the marine environment. Outside, the deck spaces are designed around socialisation and the furnishings can be moved or removed to re-purpose the area as required. 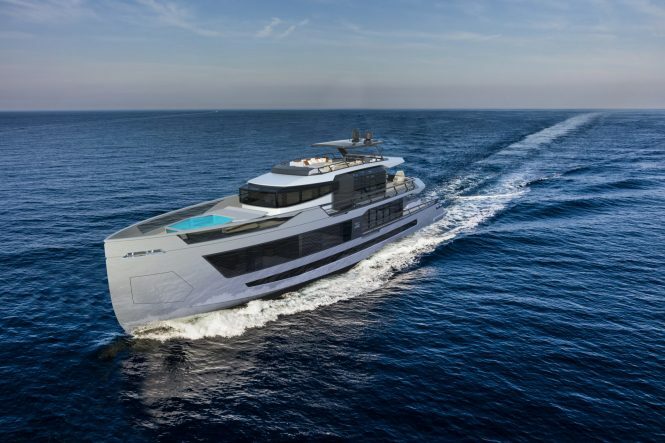 The 32m/105ft version of the XSR series will accommodate a maximum of 8 guests throughout four spacious cabins, one of which will be a full-beam owner’s suite and VIP stateroom. She will have a range of 900 nautical miles while cruising at 15 knots, while her top speed will reach 20 knots. The 38m/125ft superyacht will be able to accommodate up to 12 guests, the owner’s suite will make use of the full beam to include a private terrace and sauna. XSR 125 will have a cruising speed of 14 knots and a range of 1,800 nautical miles. Please contact CharterWorld - the luxury yacht charter specialist - for more on superyacht news item "XSR, the new hybrid propulsion range from Sarp Yachts".